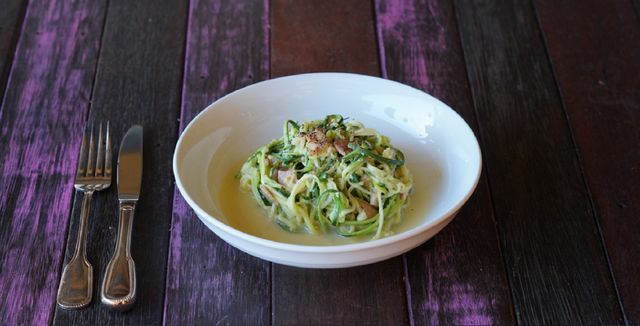 Paleo Zucchini Carbonara from Eat Drink Paleo the cook book – Irena Macri. We had so much fun reviewing Irena Macri’s Eat Drink Paleo the cook book. You can read our thoughts here! 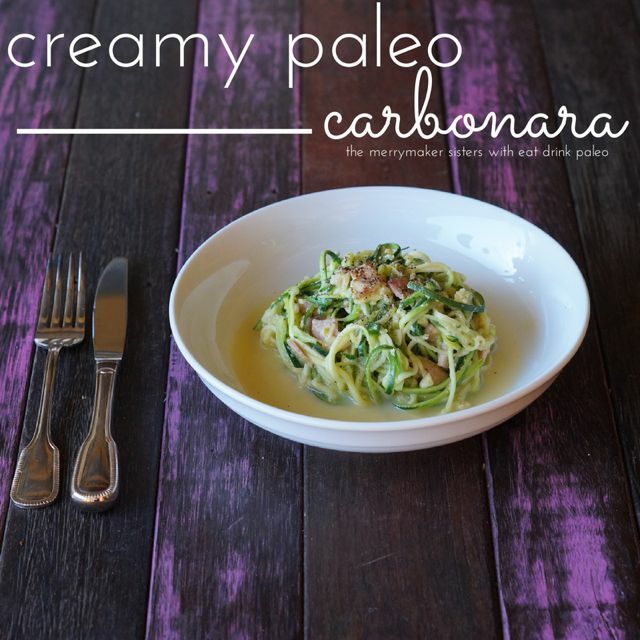 But you’re probably just visiting for this AMAZING paleo zucchini carbonara recipe, it is seriously DELISH and probably one of the easiest recipes ever! Go on, give it a whirl! Next time we’re going to add chicken! p.s you might also like this recipe for paleo lasagne! Heat the ghee in a fry pan until super hot. Add bacon and fry until crispy all over. Turn the heat to medium. Add olive oil and garlic and cook for a couple of minutes. Add zucchini, lemon zest, salt and pepper, stirring. Cook for about a minute, then add 2 whole eggs. Keep stirring until zucchini is well coated and the egg starts to cook and thicken, it should only take about a minute or two. Turn the heat off and fold in the cheese. Yum! Want some more italian recipes?! 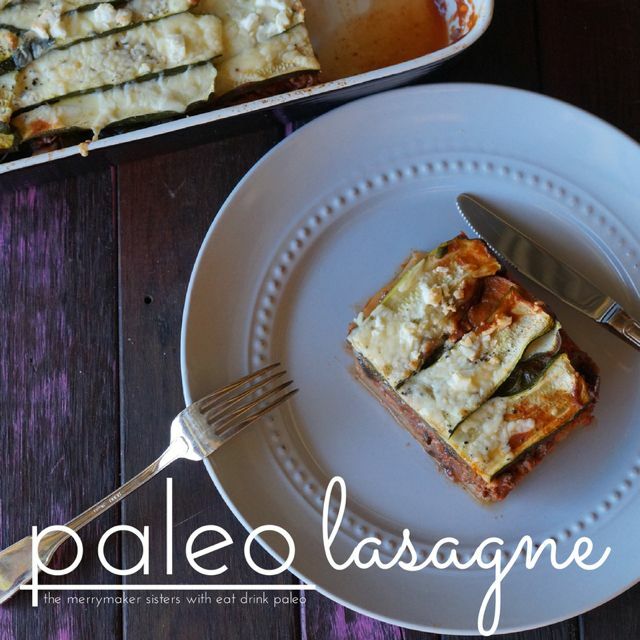 Check out this recipe for paleo lasagne!